Ophrys aesculapii grows to a height of 15 to 40 cm. The inflorescence can develop up to 14 flowers. The elongate sepals and petals are spreaded. The almost undivided labellum is rounded. The first scientific description was published by the Swiss botanist Jany Renz (Zur Kenntniss der griechischen Orchideen, 1928). In 1980, the Hungarian botanist Károly Rezsö Soó, following Jeffrey J. Wood, described the species as a subspecies of Ophrys sphegodes. 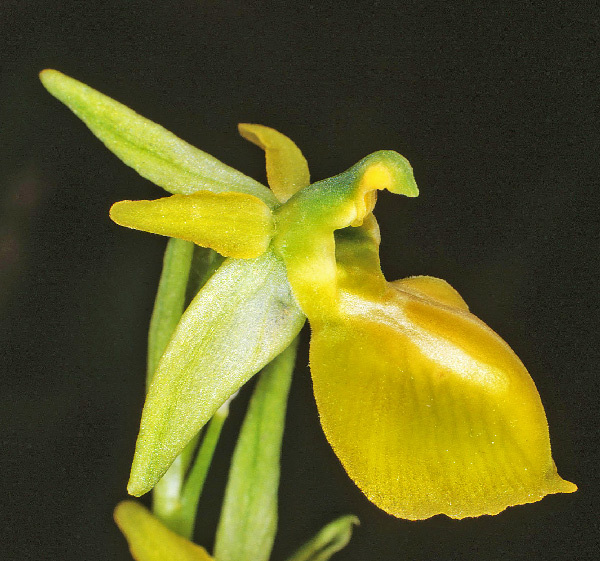 In its regular form the dark-brown labellum has a yellow edge and an elongate pattern in the form of the letter H. The sepals and petals are green, the lateral sepals may be reddish in their lower half. 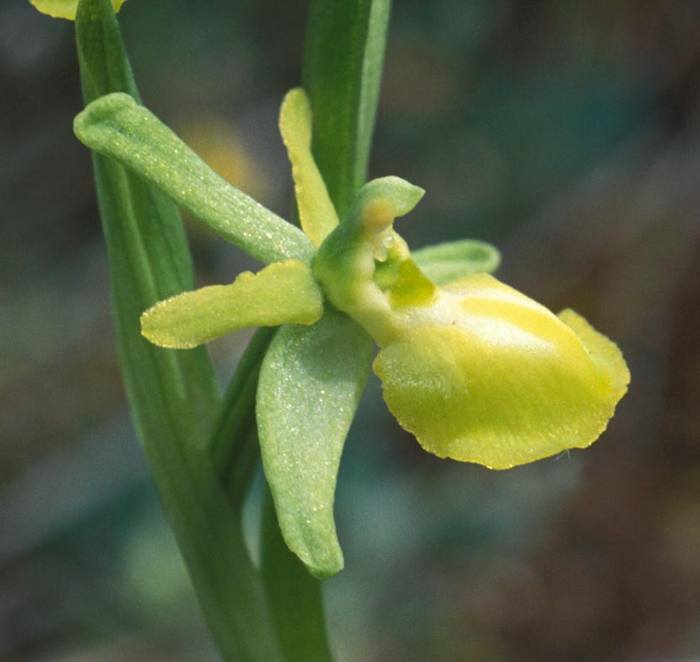 In the case of reduced or missing colour pigments, the labellum is totally yellow. This form is also documented by John and Gerry on their website about Orchids in Britain and Europe and by James Mast de Maeght. Ophrys aesculapii grows on meadows and in light forests of the Eastern Mediterranean, mainly in the Eastern part of the Peloponnes, up to 1000 m. Flowering is from March to May.